The green movement is sweeping across the nation as more states push to legalize medical and recreational marijuana. 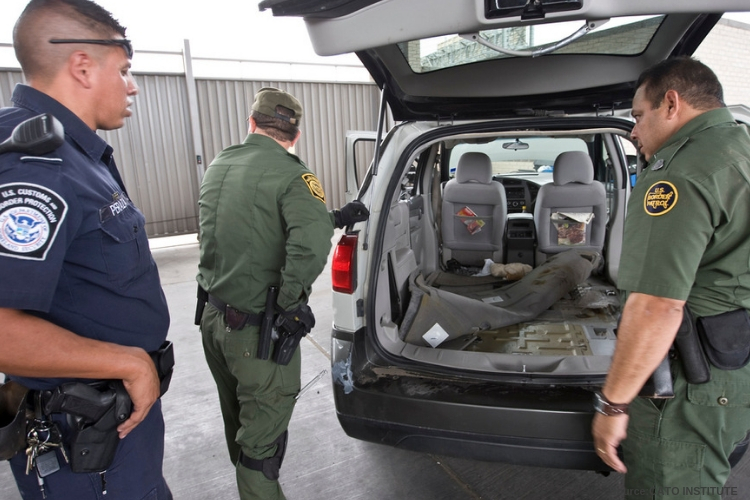 As cannabis becomes legal, the probability of it being smuggled over the U.S.’s southern borders are dropping dramatically. Over the past eight years, many states have put an end to the marijuana prohibition. Colorado and Washington were the first states to legalize marijuana in 2012, finally starting legal sales in 2014. Since then multiple states have made the same stride in that direction each election cycle. 2019 and 2020 will bring several more states to the same conclusion. Researchers also question Presidents Trump’s fight to build a wall along the Mexico and U.S. border, which has sparked a partisan dispute that led to an ongoing government shutdown Christmas week. That being the 3rd government shut down within two years. Many claim the paper proves the accusations of legalization advocates, who have argued for years that American consumers would instead purchase marijuana from Licensed producers and shops. Guaranteeing the proper testing and labeling of their products for potency and purity unlike the illegal market, where no quality control exists or is required. According to the report, Rep. Matt Gaetz (R-FL) took a liking to the idea in a congressional hearing last week, insisting that Homeland Security Sec. Kirstjen Nielsen makes strides to end federal marijuana prohibition, making her and her agents’ duties less stressful. The Recover is a unbiased substance abuse and mental health news provider. Helping individuals looking for the right treatment programs in their area. Also providing information on Colorado drug rehab centers for addiction recovery.